Selecting the best nursing school in South Dakota can be difficult. To make the process easier first look for a school that supports students towards licensure and beyond. A great way to measure this is through NCLEX-RN "pass rates." We have ranked the top 5 nursing schools in South Dakota by analyzing current and historical NCLEX-RN "pass rates", meaning the percentage of graduates who pass the exam, out of the 11 RN programs in the state. Programs reviewed include schools that offer an Associate in Nursing (ADN/ASN), BSN, or Direct-Entry MSN Degree. South Dakota is changing their health care system so that it reflects an importance on higher learning, thus providing a higher standard of patient care. The job opportunities in South Dakota will increase over the next 5 years by approximately 13%, equaling 300 or so open job opportunities per year. With the Bureau of Labor Statistics reporting the average annual salary for an RN in the state at $55,100, nursing will continue to be a top career pick for the foreseeable future. An Associate's Degree in Nursing (ADN) is one of the quickest routes to becoming a registered nurse. These programs tend to be relatively short in length at approximately 2 years, and once completed you can take your exam for registered nurse licensure. ADN programs are widely available at junior and technical colleges, and tend to be more affordable than traditional 4-year degrees at larger universities. South Dakota offers roughly 5 ADN programs scattered throughout the state. You'll want to make sure that you are attending a legitimate, high-quality program. One of the best ways to do this is to ensure that your school of choice's program is properly accredited by industry organizations. 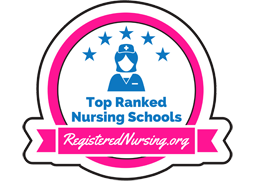 A few national ones to look for include the Accreditation Commission for Education in Nursing (ACEN) and the American Association of Colleges of Nursing's Commission on Collegiate Nursing Education (CCNE). On a local level, you'll want to look for an endorsement from the South Dakota Board of Nursing. Take a look at a prospective school's ADN program curriculum and make sure that it will fully prep you to take the National Council Licensure Examination for licensure as a Registered Nurse (NCLEX). Once this test is passed you will be able to receive a license from the South Dakota Board of Nursing. In 2015, the American Association of Colleges of Nursing reported that 86.9% of new nurse grads who took their NCLEX in the state received nursing licenses. Oglala Lakota College, located in Pine Ridge, SD, is one school in the region that has an accredited ADN program. It can be confusing to navigate the costs and fees associated with earning an ADN. You will have to factor in tuition costs as well as extras such as textbooks, uniforms, and other miscellaneous fees (which may or may not be included in the tuition cost). As an example on what to expect, the ADN program at the University of South Dakota costs roughly $238.50 per credit hour. Earning your ADN is a relatively quick and cost-effective way to become a registered nurse. The shortened length, combined with the accessibility of the program, makes it a great choice for those wanting to enter the nursing workforce without much delay. With this degree, you will already be registered and most likely working when those going through 4-year programs will only be halfway done with school. If you're wanting to take a traditional 4-year path to becoming an RN, a Bachelor's of Science in Nursing (BSN) might be for you. This is a slightly more advanced degree that will give you a greater variety of employment opportunities, along with a bigger paycheck. If you are already an RN wanting to advance your career, many schools also offer a shorter RN to BSN program, which is worth inquiring about. Over 7 schools in South Dakota offer a BSN - either through a traditional program, an accelerated BSN, or an RN to BSN. It is a good idea to do your research and compare BSN programs to find the right fit for you. Cost, location, accreditation, and program outcomes are just a few of the things you'll want to consider when choosing a school for your BSN. It's also smart to look at the program options…does your school of choice have a regular 4-year program only, or do they offer an accelerated program? How about an RN to BSN program? Some schools will offer all 3 types, so be sure to do your research if you are looking for these options. The University of Sioux Falls, for example, offers a fully accredited traditional BSN, accelerated BSN, and an RN to BSN. The traditional BSN takes 4 years to complete. If you are looking to finish your BSN even faster, accelerated programs can take as little as 15 months from start to finish. If you're already a registered nurse, RN to BSN programs can take 1-2 years to complete, depending on what coursework you've already completed. Paying for your BSN nursing education can be daunting. Not only will you have to think about tuition, but also extras such as textbooks, lab fees, uniforms, and other mandatory items. Be sure to contact your prospective school's financial aid department for information on payment options. Presentation College, located in Aberdeen, SD, estimates their BSN tuition to be approximately $18,710 per year, along with a $130 per credit nursing program fee. A BSN is advantageous for a few reasons. First, you will be able to choose from a much wider pool of nursing job specialties with your BSN and will be poised to advance in your career. You will also have the potential to make more money than you would with just an LPN or ADN. It's also a great choice for those wanting the traditional 4-year schooling experience. To move even further up the nursing ladder, a Master's of Science in Nursing degree (MSN) is what you'll need. If you want to become a Clinical Nurse Specialist, Certified Nurse Midwife, Nurse Practitioner, or other specialized nurse, you'll have to obtain an MSN. There are roughly 3 schools in the state that offer MSN degrees in a few different specialties. Program length can vary, but most MSN degrees take 2-3 years to complete. These graduate level degrees are designed around the busy working nurse, so they often offer flexible schedules, night classes, online courses, and more. It's wise to inquire with your school of choice to see what kind of options are available to you. You'll want to fully compare MSN program tuition costs and fees. Remember that most schools do not include extras such as lab fees and textbooks into the cost of tuition. As an example of what to expect, the estimated cost for an MSN/Family Nurse Practitioner degree at South Dakota's Mount Mary College is $545 per credit hour in tuition, along with $45 per credit hour in support fees and $75 per semester in nursing fees. 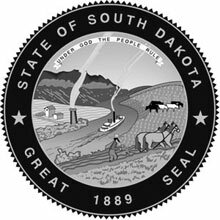 South Dakota regulations to become a licensed nurse by examination or endorsement require the candidate to complete the application, submit fees and provide further information. There are only a couple of accelerated programs to pick from in the state, but those programs are only 12 to 18 months in length, and are offered as full-time studies. On campus programs that offer students the opportunity to fast track through a degree program, as well as offer clinical practice. Before entering these programs there are specific courses that must be completed prior to entrance into the accelerated program. These extra course will impact overall tuition fees and time frame for obtaining your degree. For over 70 years, Augustana University Department of Nursing in Sioux Falls, South Dakota has been offering students innovations in nursing through exemplary curriculum, hands-on clinical, all facilitated by highly qualified faculty. Upon completion that the transition into a professional life will be seamless. Visit the Augustana University nursing website to learn more. A wide variety of nursing programs are offered at South Dakota State University, all of these programs produce graduates that are at the top of their class and are prepared to take action. Check out the official South Dakota State University nursing program. A complex, transitioning medical field is what Presentation College in Aberdeen, South Dakota prepares its nursing graduates to face head-on and conquer. Intensive curriculum partnered with hands-on clinical practices prepares graduates to accept employment opportunities upon graduation. Get all the program details by visiting the Presentation College website. Southeast Technical Institute of Sioux Falls, South Dakota offers students the opportunity to advance their education while gaining real-world experiences in a variety of venues. Students are well-respected additions to the nursing field, as the program is known for graduates the exude confidence and experience. Check out the official Southeast Technical Institute nursing program. Located in the heart of Sioux Falls, South Dakota, outstanding graduates with Christian values, compassion, leadership, and a commitment to adapt to the changing needs of the health care system are what University of Sioux Falls aspires to create. Visit the University of Sioux Falls nursing website to learn more.